Alaina is my crafty kid, she has always got a few things going on and a lot more she is thinking about. 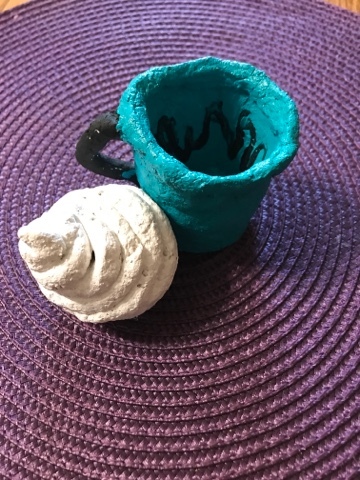 Her newest projects she created by using the Rigid Wrap and CelluClay Quik-Sculpting Kit from ACTIVA Products. 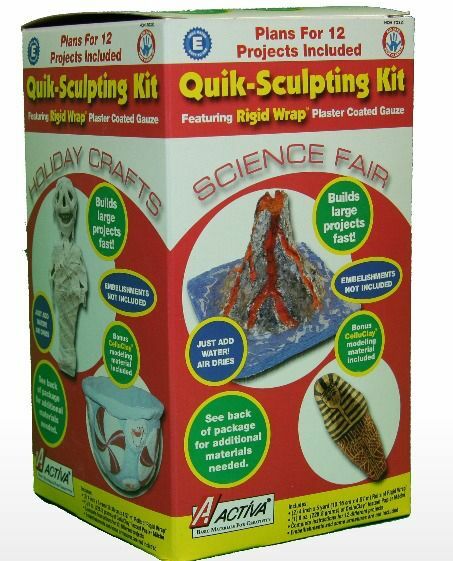 We received the kit along with the free eBook ACTIVA Products' Favorite Sculpture KIDS CRAFTS. You will need water and an armature to make your shaped projects. 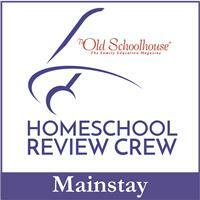 Paint and embellishments will also need to be purchased separately. Rigid Wrap comes in a roll that looks like gauze and already has the plaster on it. Once you choose the sculpture you would like to make you cut the gauze into smaller pieces, dip into a bowl of warm water and lay it on your armature. 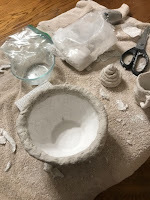 While applying the plaster gauze let the water drip off each piece and then smooth it down on your sculpture form until you no longer see the holes in the gauze. You will continue this process until you have the desired thickness for your papier-mache craft. Drying time depends on how large and how thick your project is. The drying process can be sped up by using the microwave as long as there is no metal in your framework. The CelluClay is not really like clay. 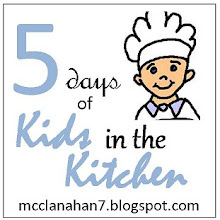 It comes in a bag and is really like instant papier-mache. It is very powdery and is recommended to mix some of the dry CelluClay and water in a baggy. It becomes like clay and you can roll it out flat on a shape or you can use it to add dimension to your projects. The drying time will vary on this as well depending on how large and how thick your piece is. The free eBook of ACTIVA's Products' Favorite Sculpture Kids Crafts is a 29-page pdf that includes step-by-step instructions and colorful pictures for twelve projects. 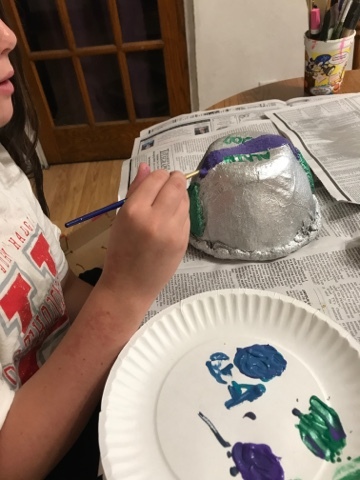 Some of the projects are for bead making, a snowman ornament, a silly spider, butterfly, pumpkin, and even a piece of cake. 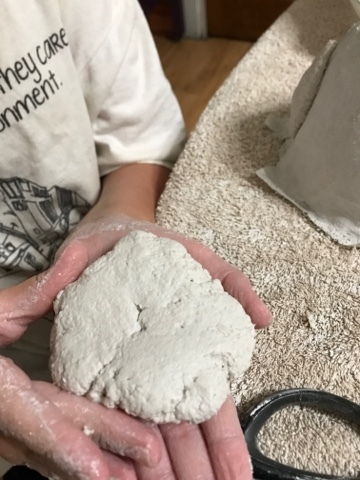 Once you create your project out of Rigid Wrap or CelluClay you can add more dimension to your piece by adding on more CelluClay. Once everything is dry the piece can be painted and then embellished with other art supplies. 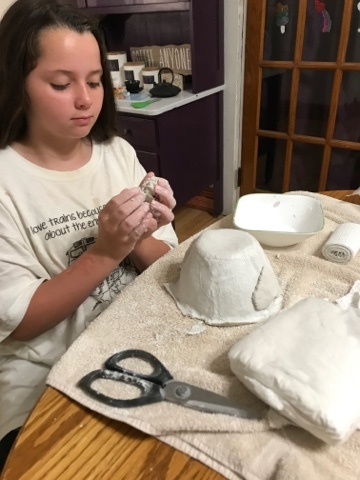 Alaina is twelve and is very crafty so she used our Quik-Sculpting Kit on her own. 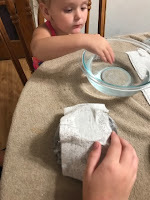 She is a collector of all things pretty, small, smelly, anything really so she decided she would start by making a cute little bowl to store some of her things. 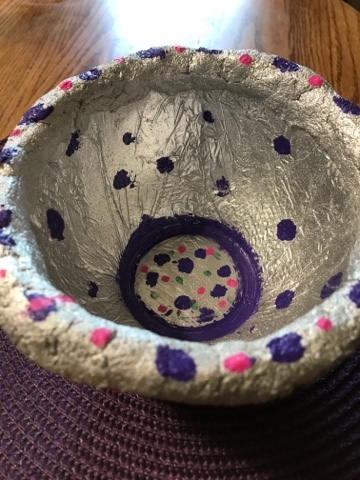 We already had some silver spray paint and she decided to paint her bowl silver and then paint some details on top. 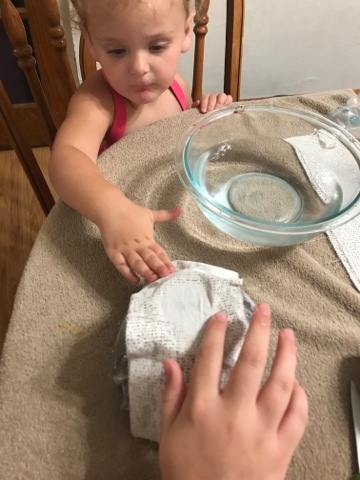 She had covered the real bowl with saran wrap before applying the Rigid Wrap so it would be easier to remove. 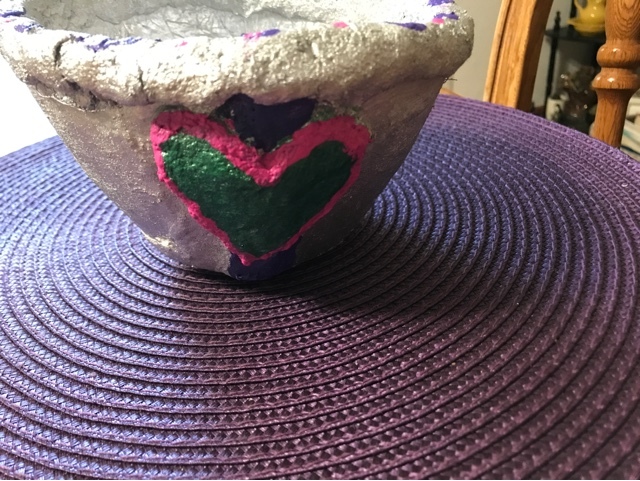 After spraying the inside of her bowl with the silver spray paint, she said she should have smoothed out the inside with water or CelluClay to get rid of her wrinkles because it looks like aluminum foil. 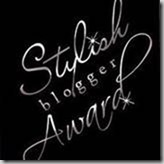 Alaina likes the rigid wrap and said it was a fairly quick way to create a project. 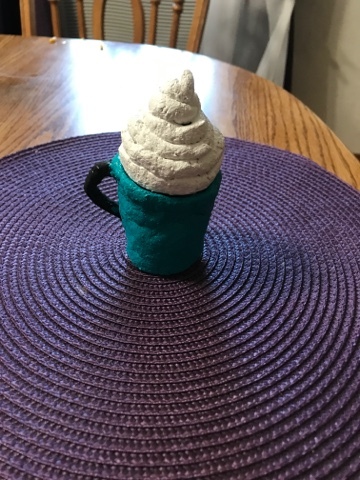 Alaina decided she wanted to make an ice cream cone, after making the ice cream part she decided to make a mug to look like a latte with lots of whipped cream. 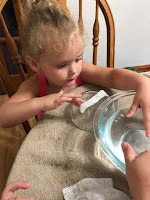 The lid comes off so she can put more things inside. One day while Alaina was crafting we were watching my friend's two-year old daughter and of course, she had to get in on the fun. She really just liked playing in the water, but it kept her occupied for a long time and didn't make a huge mess. She didn't actually make anything, but she thought it was fun and it is non-toxic so it is safe for children of all ages. Rigid Wrap and CelluClay are a fun way to create papier-mache projects without a huge mess. 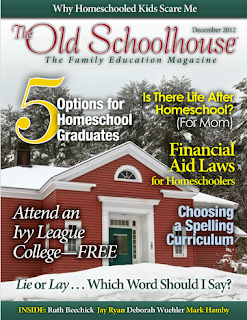 It is very easy to use for children of all ages and adults. Alaina really enjoyed this review and we plan on looking at the rest of the Crew reviews together to see what everyone else created.